I’ve been playing a lot of Puyo Puyo Tetris on the Nintendo Switch lately. One of the great things about Tetris on the Nintendo Switch is the various different ways you can approach gameplay. You can play using just the handheld device, you can place the console in its docking station and play with the Joy-Con controllers detached, or you can use Nintendo’s fancy new Pro Controller. I’ve played Puyo Puyo Tetris on the Nintendo Switch in every way possible. I’ve noticed that the way I approach the game changes based on whether or not I use the Joy-Con controllers, or play with the Pro Controller. If you recently purchased Puyo Puyo Tetris for the Nintendo Switch, or you already own it and are looking to shake up your gaming experience, here are some of the differences between playing Puyo Puyo Tetris with Joy-Con controllers versus the Pro Controller. The Joy-Con controllers give Puyo Puyo Tetris players numerous different ways to approach the game. Joy-Con controllers are the go-to method for many Puyo Puyo Tetris players on the Nintendo Switch. This is because every Nintendo Switch comes with a set of Joy-Con controllers, whereas you have to purchase the Pro Controller separately. There are a few different ways in which you can utilize the Joy-Con controllers. One way is by playing the Nintendo Switch in handheld mode. If you have the Nintendo Switch docked, you’ll need to remove the Nintendo Switch from its dock, then slide the Joy-Con controllers into their respective slots on the left and right side. With this done, you can take Puyo Puyo Tetris with you wherever you go. 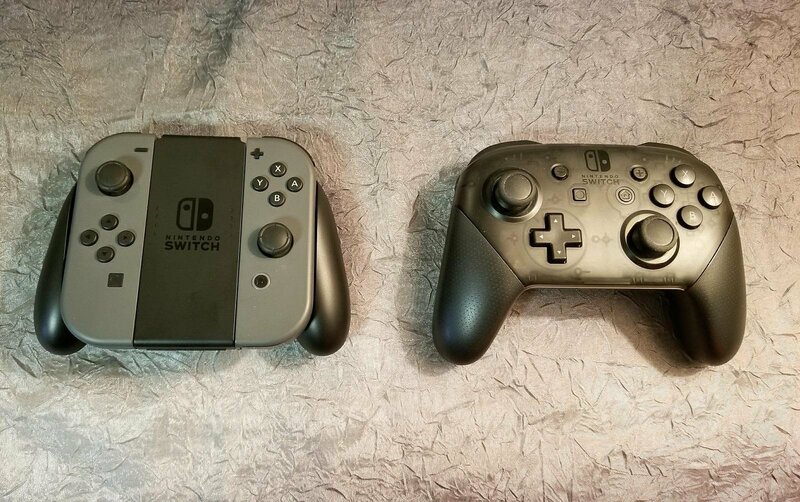 Aside from handheld mode, you can also use the Joy-Con controllers when the Nintendo Switch is docked. To switch between handheld and docked mode, simply detach the Joy-Con controllers, then carefully slide the console into the dock. 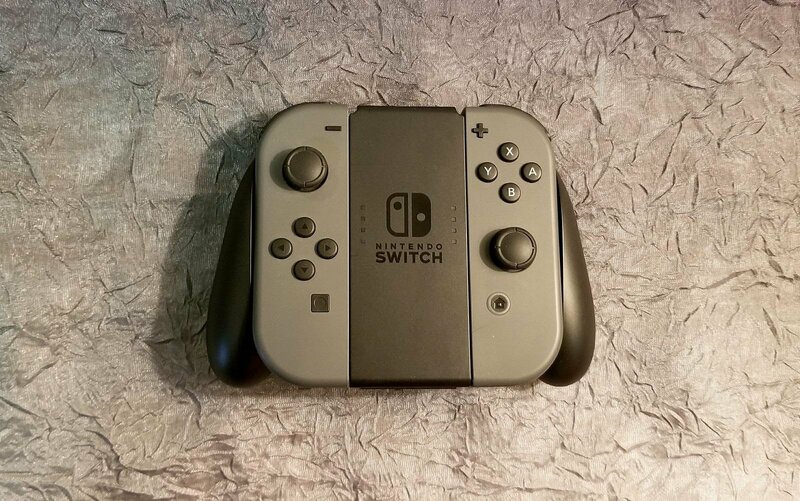 With the Nintendo Switch docked, you can either use your Joy-Con controllers freely, or connected to the Joy-Con Grip that comes packaged with every Nintendo Switch. The Joy-Con Grip acts as a makeshift controller. Prior to purchasing the Pro Controller, I preferred to use the Joy-Con Grip because it adds stability during tense multiplayer situations. Overall, I recommend playing Puyo Puyo Tetris with your Joy-Con controllers attached in handheld mode, or with the assistance of the Joy-Con Grip. The Pro Controller’s size and design makes it an extremely comfortable way to play Puyo Puyo Tetris. One of the best accessories to purchase for your Nintendo Switch is the Pro Controller. You can purchase the Pro Controller anywhere Nintendo Switch consoles are sold, such as Amazon. The Pro Controller costs around $70, but it’s well worth it if you do a lot of gaming on the Nintendo Switch. When comparing the Pro Controller to the Joy-Con controllers, I find it to be a lot more comfortable to play Puyo Puyo Tetris using the Pro Controller. One of the reasons for this centers around hand size. The larger your hands are, the more likely you are to find the Pro Controller a more comfortable option. Additionally, there’s a nice weight to the Pro Controller. It feels a lot more solid than the Joy-Con Grip, and it requires zero assembly. You can pick up the Pro Controller and dive into a lengthy Puyo Puyo Tetris session with ease. If you’re a huge fan of the competitive scene in Puyo Puyo Tetris, the Pro Controller may just be the perfect way to step up your Tetris game! Furthermore, if you’re new and are still running through the various online tutorials of Puyo Puyo Tetris, the Pro Controller can be an easier way to learn the ropes. Even if you have no problem playing with the Joy-Con controllers, you’ll find that they’ll eventually need to be recharged. This can be devastating if you have no other available controllers, are on a winning streak in Puyo Puyo Tetris, and have no desire of stopping. Should you have the Pro Controller handy, you can charge up your Joy-Con controllers and continue playing Puyo Puyo Tetris for as long as you like. If I had to pick, I prefer using the Pro Controller for Puyo Puyo Tetris, but no matter which setup you go with, the best part is undoubtedly the ability to play Tetris on the Nintendo Switch itself! 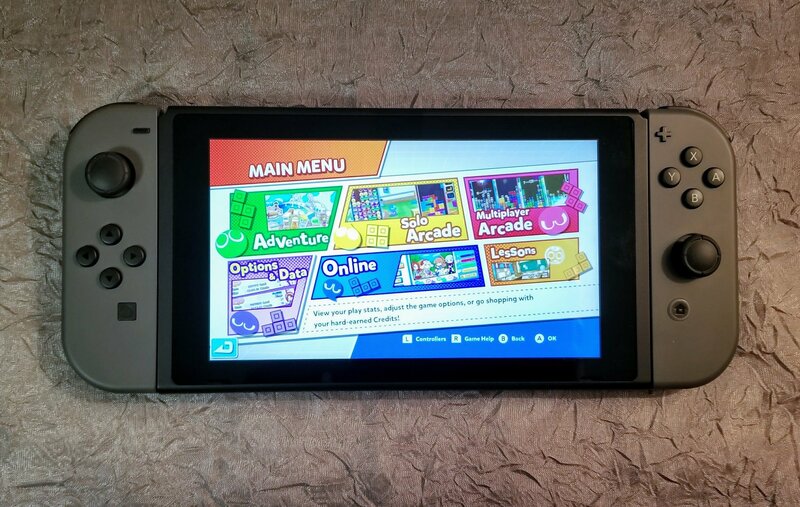 So, how do you play Puyo Puyo Tetris on the Nintendo Switch? Let us know your preferred method by commenting on Facebook and Instagram, or by tweeting at us on Twitter! Don’t own a copy of Puyo Puyo Tetris for the Nintendo Switch yet? You can purchase a copy by clicking here.